Raccoons are one of nature’s most clever mammals that retain some superlative survival skills. Several features and characteristics of a home can be attractive to a wild raccoon. Harsh weather, breeding, and pure curiosity can all be definite influences for raccoons to take shelter or trespass onto residential properties. Continue reading to learn some reasons why you may be spotting raccoons more frequently on your property, and how to get rid of them for good. Raccoons are most motivated by food; just as any other wild animal. When homeowner’s leave food sources outside or in their garage, raccoons are sure to sniff it out. They are great at hunting down meals, especially easy ones. Edibles such as pet food, garden produce, bird feed, and even dirty grills can all be desirable snacks for raccoons and other wild animals alike. If you have any of these items on your property, it may be the cause of your late-night visitors. Outdoor pets, such as dogs and cats, should be fed indoors or garages. This prevents the need to leave pet dishes full of food, outside. Raccoons love dog and cat food; it is tasty and provides nutrition and protein. If feeding a pet indoors is not an option, try securing the food dishes at night when raccoons are most active, then replace them in the morning. On the same topic, gardens should also be secured to prohibit entry by raccoons, rabbits, and other garden nuisances. 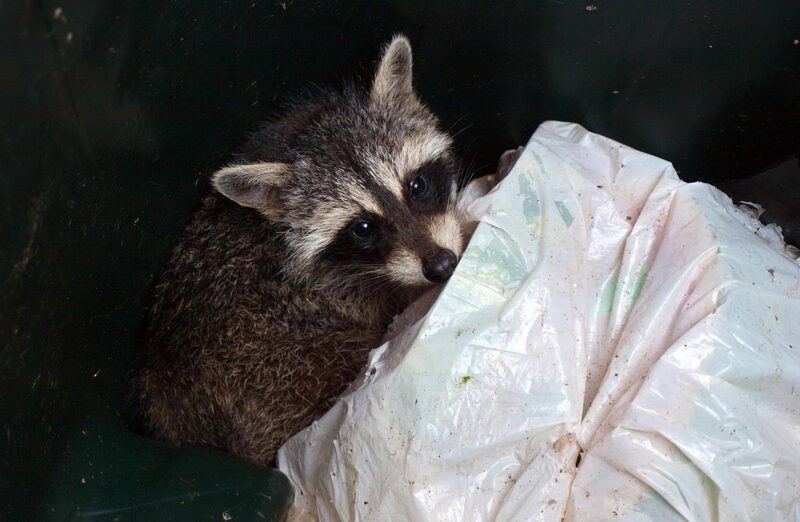 Trash and garbage cans are another potential food source for raccoons. Many people prefer to take their trash out at night, before the morning of pickup. Although this saves a few extra minutes in an otherwise busy morning, it can be a main attraction for nocturnal wildlife. Raccoons have dexterous paws and long claws that allow them to clasp and grab very well. They can easily open up garbage lids and rummage through leftovers, litter, waste, and other compost. This not only leaves a mess for homeowner’s to clean up in the early hours of the morning, but it creates a rift among fellow neighbors that dislike the unsightly garbage spread all across their curb. Another main attraction for raccoons is open access to shelter. Cracks and crevices in rooftops are easy entry points for raccoons. They can gain access to attics, garages, crawl spaces, and outdoor sheds and storage spaces. This easy access is a wide open invitation for raccoons to come inside. As mentioned before, harsh weather conditions and breeding season both encourage raccoons to seek shelter in dens, or in residential properties. Raccoons will remember where reliable food and shelter sources are, and will return to them night after night. In order to get rid of raccoons from trespassing onto your property, you need to figure out what is attracting them in the first place. These areas above are a great place to start. Next, contact a local wildlife removal company to safely and humanely capture and release nuisance raccoons from your property. 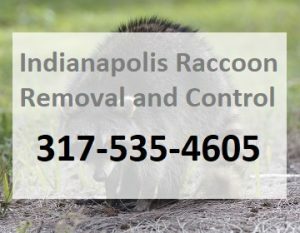 This entry was posted in Raccoon Control and tagged get rid of raccoons Indianapolis, raccoon control Indianapolis, raccoon removal Indianapolis, raccoons in garbage, stop raccoons Indianapolis, why do i have raccoons. Bookmark the permalink.